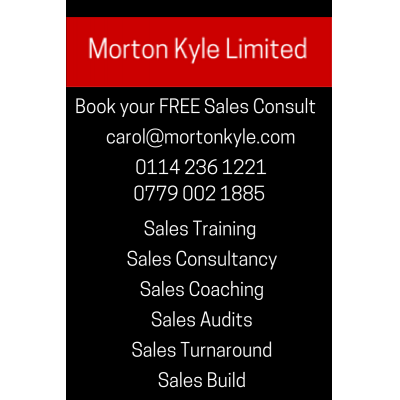 A Morton Kyle sales improvement trainer will help you achieve continuous sale improvement so you get the best sales results in the shortest possible time, maximise your sales conversion rates, your profit margins whilst building your market share. Conduct ongoing sales audits, your sales improvement trainer will identify those sales practices which are costing you time, money and customers, and eliminate them. You'll begin to understand what your sales team need to do to eliminate competitor attack, how to stop selling at discounted rates and how to build a solid and stable sales pipeline. Together with your sales improvement coach , you'll learn how to build a predictable and scale-able sales model which produces the sales results you deserve. 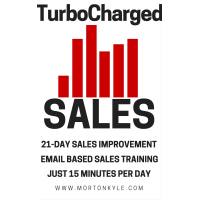 Your sales improvement trainer will also be your sounding board for new markets, new pricing structures, sales recruitment, sales strategy and lead generation. Working with you and your team on a flexible basis delivering insights, direction, training, feedback, sales analytics, you'll have access to a proactive sales director type function for a fraction of the cost you would expect. As a first class sales trainer, your sales improvement trainer will be the front line support for under performing sales people, ensuring their skills are developed, confidence and motivation is high and they are confident being client facing with your precious customers. Ongoing team performance management is available so your team grow to deliver the sales results you business need. 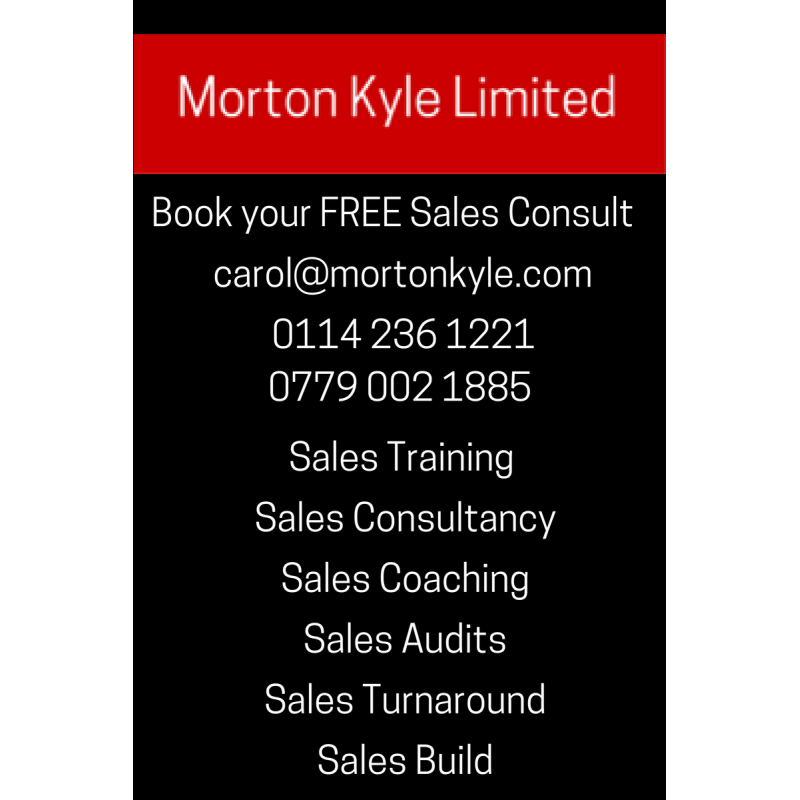 Your sales improvement trainer is available on short or long term flexible contract. Detailed and relevant, practical and direct sales training with the sales team, the sales leadership team and the sales facing business functions means your customers and prospects get first class sales interfaces with your business. You sales improvement coach will help you benchmark then out perform your competitors in this key area. Identifying the perfect prospects, working up key value driven sales pitches that demonstrate high return on investments, while testing different pricing models and sales pathways will ensure you're able to shorten your sales cycles, beat the competitors and maximise your profits and sales conversion rates. Whether the sales coaching is done in the classroom, the sales office, via skype, in the field or via video, sales coaching is the single fastest way to improve the sales skills of the sales team, increase motivation and confidence, as well as increasing focus and productivity. Your sales improvement trainer will work with each of the sales team to ensure they work to their highest capabilities and see continuous sales improvement. Because information really is power, the first thing your sales improvement trainer will do is conduct a strict audit of your current sales practices, sales results, sales management information and sales leadership. On conclusion you will receive a detailed 30 day fast action plan to solve the easy wins. You'll often find that this will solve many of the critical sales issues that are causing you to lose business, drop margins and support your competitors growth. For sales functions which are in rapid decline, there is little money and even less time, so your sales improvement trainer will discuss and them implement the key sales wins that will increase cash flow and extend the time available to turnaround. Direct and focused action will then ensure in order to right the business and increase the level of profitable sales and cash flow. Your sales improvement coach will work with you to create a practical sales and business development system to deliver predictable sales results and sales growth.